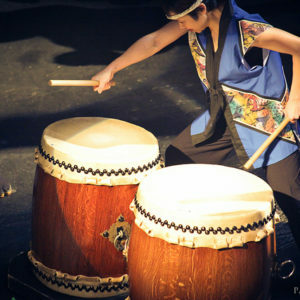 New February Intermediate 4-class series will focus on slant-stand (naname-dai) style drumming. Participants will take the elements of rhythm, movement and spirit taught in the Beginning Class and apply them to Utsu Hachijo, a challenging piece we learned from famous Japanese group Ondekoza. Hachijo-jima is one of the Seven Isles of Izu stretching south of Tokyo into the Pacific Ocean. It is the most distant of these islands and was once used as a place of exile. 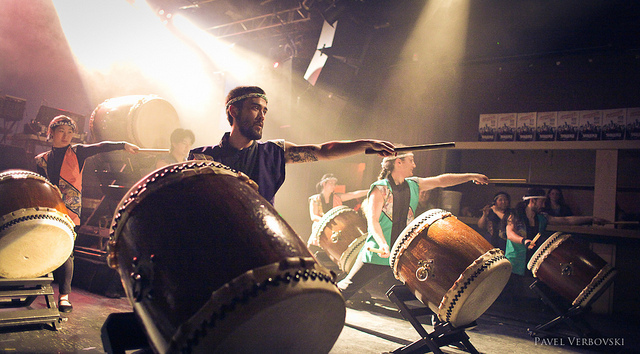 Some say the driving rhythm and flashy arm movements of this style was influenced by the sword-play of exiled samurai warriors practicing on the beach. 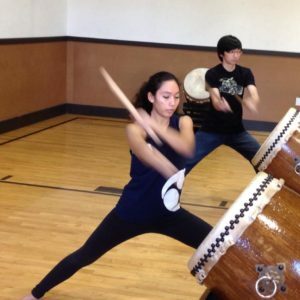 In order to register, participants must have completed one of the Drummer Beginner Classes OR have other prior taiko experience OR get permission from the instructor.